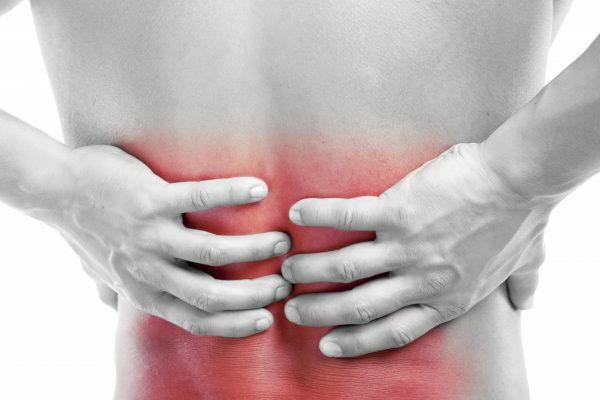 Expert back muscle pain treatment is effective in either reducing or eliminating the pain you feel. However, it is crucial for you to receive the right advice and for you to become involved in the healing process. The right advice combined with your commitment are the two most important aspects of pain reduction. The question is how do you acquire the knowledge and how do you motivate yourself? Interestingly enough there are many treatments you can start at home. In many instances, the home remedies work. But there is a time to seek professional assistance. Activity Level: Your best advice is to keep as active as you can. In the first few days of back muscle pain treatment, you will need to stop any activity that makes your pain more excruciating. But as you gain more flexibility, you can increase your activity level. Applying Heat: A warm heating pad serves two purposes. First it relaxes the muscle, and secondly, it increases blood flow which promotes your healing. Exercises for Back Pain: There are many recommended exercises for back muscle pain If you are unsure of what to do, then it is time to see a physical therapist. Although the exercises will work well in the short term, your back pain may be a signal that you need to make some lifestyle changes to prevent recurrences of this condition. Over the Counter Medication: Since you need to keep active, you are on a mission to reduce your pain so that you can stay active. Muscle relaxants and anti-inflammatories can reduce your pain. Medicated Rubs: These rubs can be very useful for increasing blood flow while promoting the healing process. Lifestyle Changes: Appropriate lifestyle changes can reduce the likelihood of developing chronic back pain. These may include being more active on a daily basis, losing weight, and changing your sitting habits. If a specific sport or everyday work activity is causing your pain, you may need to change your approach. Perhaps a brace will help or a change in method. A physical therapist is trained to help you make these changes if you are uncertain what to do. Muscle strain can be reduced significantly by combining a variety of approaches. If you experience any of these symptoms as well as the pain, you need to seek medical advice from a pain doctor right away as you may have more than soft tissue or muscle damage. The following symptoms may be your first hints of a more serious problem. If your pain is a result of a fall or blow, there might be damage to your bone structure. If you have experienced pain for longer than 4 to 6 weeks despite trying some of the home remedies. If you have a change in bowel or urinary function. If you experience a fever. If you experience problems with sexual functioning. If you are already suffering from a chronic underlying disease. Your first step when seeking medical advice is to have an expert provide you with an accurate diagnosis. Your expert pain doctor in New York or pain doctor in New Jersey will use a variety of strategies to provide an accurate analysis. He or she will examine you physically, task you to move in a particular manner and take your medical history. He or she may order some imaging tests such as CT scans, X-rays or MRIs. These will rule out any damage beyond the soft tissues. Once it has been determined that the damage is limited to your soft tissue, then your well-informed pain specialist will discuss with you several approaches to ease your pain and help you avoid surgery. A combination of any of the following will be tailored to meet your needs and lifestyle. Your pain doctor will coordinate with all of the therapists to coordinate your recovery. Massage: A therapeutic massage will target the area of discomfort to ease your muscle strain. Physical Therapy: Your therapist will explain the implications of the exercises and then train you how to complete the program at home to speed up your healing. He or she will also discuss ways in which you can adapt different activities to reduce the chances of reinjury. Chiropractic Manipulation: This is not recommended in the first few days of the onset of pain, but as your muscles begin to relax, the techniques can be beneficial. Your primary care physician can advise you on your readiness for this back muscle pain treatment. Acupuncture: Many patients have benefited from this ancient practice that uses thin needles to block the pain messages to your brain. Prescriptions: Your medical pain expert will be able to provide you with stronger pain and anti-inflammatory medications. However, the intent is to use the pain medication on a short term basis so that the natural healing process of your body can be initiated. Injections: A more targeted approach for medication is through injections into the area of your pain in your back. Both pain and anti-inflammatory injections are available to provide you with immediate relief of pain. Trаnѕсutаnеоuѕ Elесtrісаl Nеrvе Stimulation (TENS) Thеrару: This therapy involves the stimulation of the nerves for short-term pain relief due to issues with disc problems. Spinal Cоrd Stіmulаtіоn: Your expert pain doctor will deliver low-level electrical signals to the spinal cord or certain nerves to block the pain signals from getting to your brain. This is another short-term treatment to allow you to participate in less intrusive techniques. Sріnаl Dесоmрrеѕѕіоn Therapy: While you are in traction your spine is stretched, providing you with relief from pain. Even if surgery is for you, some less invasive techniques can be helpful. Laminectomy: By removing the back portion of one of your vertebrae, the pressure on your nerves is reduced. Your pain management physician at the pain treatment clinic will coordinate with a well-qualified orthopedic surgeon or neurosurgeon to share the details of your condition. After surgery, there will be a rehabilitative process that your pain doctor will assist you with as well. Back muscle pain treatment is prevalent, especially among older adults or people who are engaged in repetitive movements at work or in sports. Home remedies can be helpful, but if you experience specific symptoms, medical advice is required. The thorough pain doctor in NY or pain doctor in NJ at the pain treatment clinic will consult with you to determine what non-surgical methods will meet your needs and lifestyle.